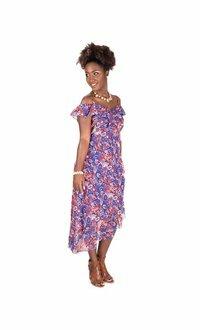 The dress is designed with thin spaghetti straps, scooped neckline, ruffle accent across the bust in a sheath silhouette. 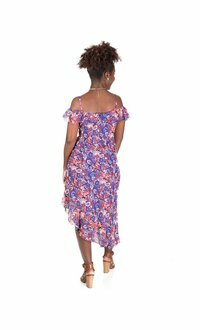 The skirt of the dress features a diagonal cut with a ruffle accent at the hemline. 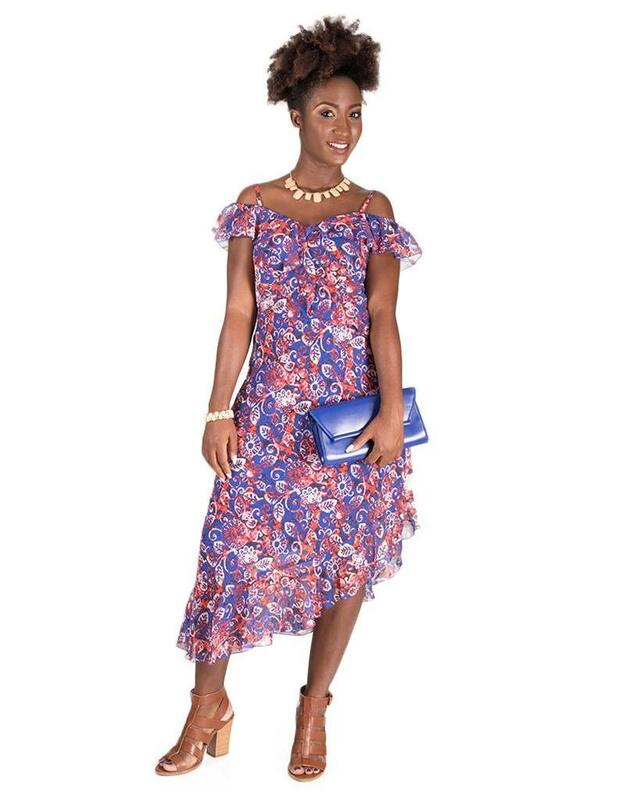 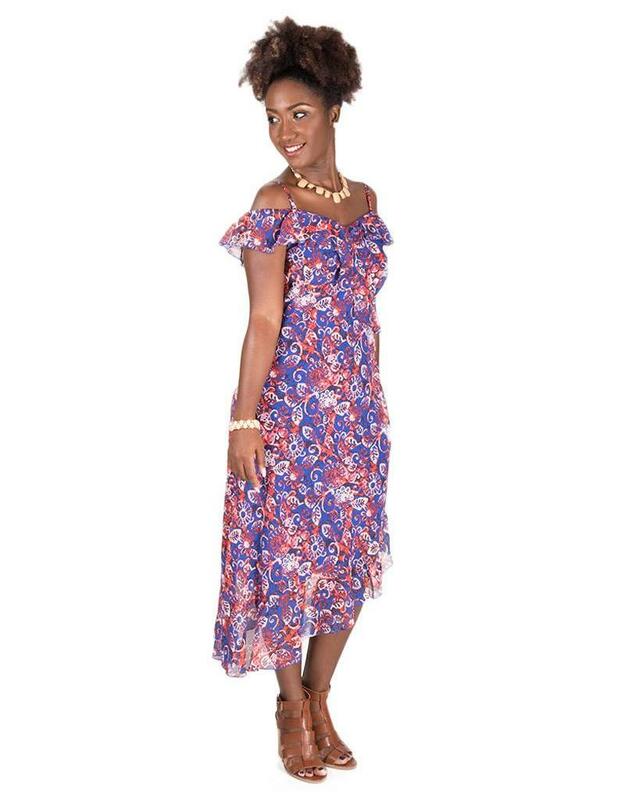 Pair this dress with accessories from our collection to meet your styling needs. 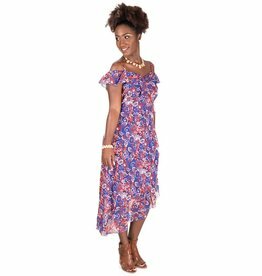 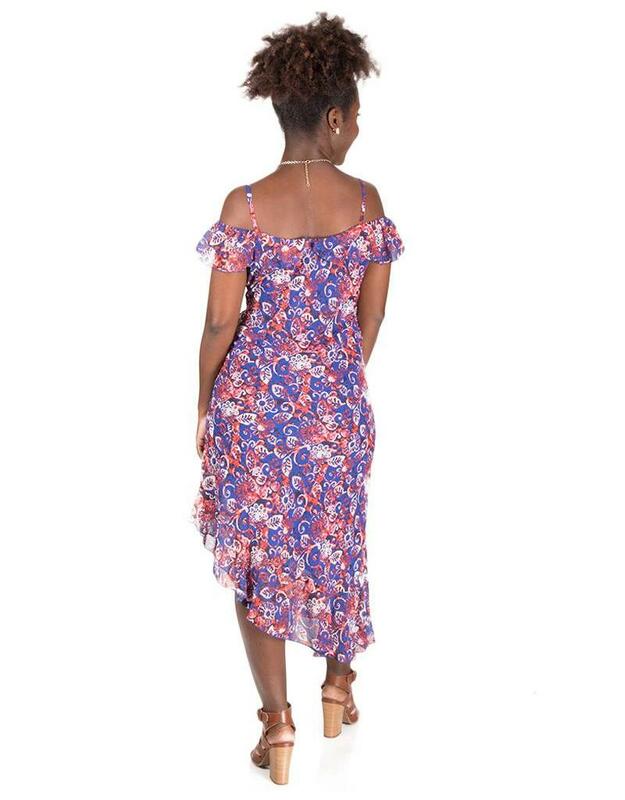 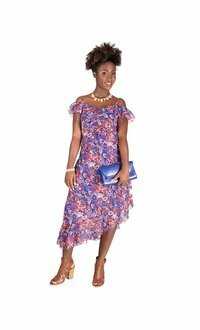 Fun and floral, this strappy printed dress is a great choice for your next garden wedding or brunch with the ladies.